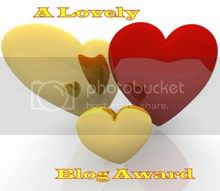 Posted on March 15th, 2010 by roxxyroller in Giveaways Canada. I would love to have the SIX STAGE COMPACT AIR PURIFIER — I live in a large build­ing and some­times the odors can seep through the door — so this would be a great item to have. I would also like to make sure that I am breath­ing the most pure air pos­si­ble. Thank you. I love to have the Belkraft Fam­ily Cook­ware Set. I have a large fam­ily and we cook a lot. This set would be used quite a bit and it would last for many years. 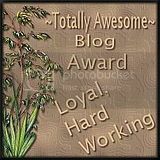 I sub­scribe to Cool­Canucks Blog via email and fol­low via Google Friends Con­nect. I would like to try one of the Vacumatic 7-Ply Sur­gi­cal Steel with Tita­nium Cook­ing Uten­sils because they seem like good quality. I’d love to have the SIX STAGE COMPACT AIR PURIFIER because my grand­son has asthma and this would help him so much. 1. I would love to have the SIX STAGE COMPACT AIR PURIFIER because I have a dusty house and I’m con­stantly sneez­ing, no mat­ter how much we dust. I would like to have their juicer because for health rea­sons I am try­ing to make bet­ter choices on what to eat and drink. 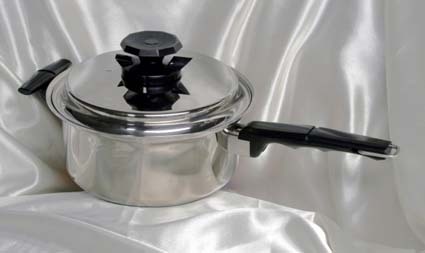 1) I’d chose the 4QT Saucepan with Lid. I think the size would work for just about every­thing I cook and I’d love cook­ing in such a way that our food retained all of it’s nutri­ents. 3) I fol­low via google friend connect. I would want the Com­pleter set A cook­ware set because it has about every­thing I would need to cook meals for my fam­ily. I would like to exper­i­ment with Belkraft’s Mas­ter Set for it’s steamer, as to make Chi­nese Style Pork Buns or what Hawai­ian Islanders call “Mona Pua”. That and a cold bot­tle of beer to com­pli­ment the food. I would love the STAINLESS STEEL JUICER! I like the Water­less cook­ware Starter Set B.
I’d love to try the PLATINUM JUICE EXTRACTOR because juic­ing is so healthy and we need to get a bit healthier! I would like to have their PLATINUM JUICE EXTRACTOR because it has a more pow­er­ful motor in it and I like to have fresh juice! I would love to have the Nutri-Tech -. I sounds great and would really clean the air in my home. I would LOVE the air puri­fier for my daugh­ters aller­gies. Thanks for the chance. 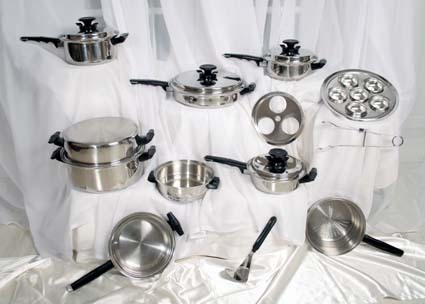 I love to have the Belkraft Fam­ily Cook­ware Set. I have a large fam­ily and we cook a lot. I’d like the NIMROD COUNTERTOP, it can eas­ily be fit­ted to your exist­ing faucet, and it looks good. I sub­scribed to Cool­Canucks Blog via email. I fol­low @coolcanucks on Twitter! I like the stain­less steel juice because they’re noth­ing bet­ter than fresh juice! Fol­low­ing blog as Huguette E.
I would like to try their Stain­less Steel Juicer because I have never owned a juicer and would love to try out some healthy drinks. I chose the SIX STAGE COMPACT AIR PURIFIER because it cleans a 600 ft square area per hour. I also like the Steamer/Strainer and Masher! I would also like to have the Nutri-Tech — The finest air purifier. I like the SIX STAGE COMPACT AIR PURIFIER. Thanks for the contest. I sub­scribed via email: sle­handwc at gmail dot com. And I for­got to say why I wanted the air puri­fier: because of pets and dust. I would love to have the 23 piece Mon­trose Cut­lery because I don’t have a qual­ity knife set. Thanks! Oops hit sub­mit before I was fin­ished! I’m an email sub­scriber and I fol­low via Google Friend Con­nect. Extra entry: I fol­low you on Twit­ter as suebaby05. the STAINLESS STEEL JUICER . i love fresh juice!!!! I’d love to have the Stain­less Steel Juicer because it’s easy to use and easy to clean, and most of all, I love fresh juice! Hello, I would love the 6 HOLE EGG POACHER IN FRY PAN because we love poached eggs in our house but only cook two at a time in the microwave. This way we could make all we need and be done all at once. I’m an email sub­scriber = trishden948(at)yahoo(dot)com and a GFC fol­lower = trish­den Thanks for a great giveaway! I’d love to have the Rochelle table­ware serv­ing pieces. Our table­ware isn’t look­ing so nice these days. 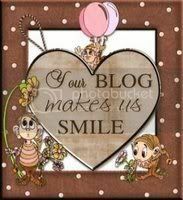 I sub­scribe to your blog via email and fol­low you via Google Friend Connect. CoolCanucks Blog Contest – StoreOnline.ca – 5 piece Muller Knife Set Review & Giveaway! !